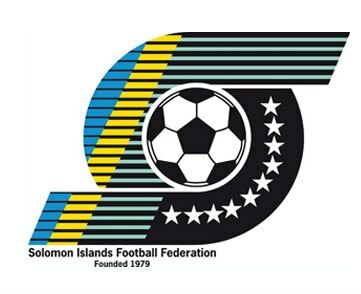 Six regional events were proposed by the Oceania Football Confederation in 2013 and SIFF has only confirmed its participation in only four: the 2014 FIFA World Cup Qualifiers; OFC Beach Soccer Championship; OFC Futsal Championship and OFC Champions League in which the country will be represented by the Solomon Warriors. According to interim SIFF Chief Executive Officer, Neil Poloso, the decision not to participate in the youth competitions is one that is taken with much regret. “The youth competitions are not only qualifying competitions for FIFA finals but they are also development pathways for players that will eventually make it to the senior level. Hence, I must say that this decision is not made lightly and I acknowledge that this is a major sacrifice,” Poloso says. The SIFF technical department under the supervision of Noel Wagapu embarked on a talent identification program late last year for the U-17 team. However, all the players selected from the program the dream has ended before it even started. Wagapu says that it is painful for everyone but this is the reality of the situation and tough decisions have to be made. “It is not what everyone wants and our hard work has hit a brick wall which we cannot climb over. It will certainly have an impact on the development process of our players but, unfortunately, we have to face reality,” Wagapu says. The last time SIFF participated in the OFC U-17 Championship was in 2010 with the LEARN&play program dominated squad that finished in third place. The Mamulas fared better a year later and finished in second place behind New Zealand. Poloso further clarifies that simply put SIFF cannot meet its international commitments this year with its current budget. “I think the key thought for everyone here is when you have limited resources we have to prioritise. The beach soccer and futsal championships take place later in the year so we have time to raise funds for them – the same cannot be said for the youth football disciplines which take place only in March and April, hence, the reason for their exclusion,” Poloso says. In 2011 SIFF made 100 per cent commitment to five regional events including the Pacific Games which totalled to a bill of over SBD$3 million – almost twice the size of its annual budget. The impact of the spending in that year spilled over into 2012 and affected SIFF’s finances as access to funds tightened over the last year. The interim SIFF management is currently working on ways to reduce internal costs and boost revenue. Unfortunately, the Katukatus and Mamulas, in this instance, found themselves on the chopping board along with several other significant cost items in the SIFF budget.